Last year one of our most frequently asked questions was, “How do you pack for nine months of travel?” So we wrote a couple blogs about how we packed for the long haul. Click here to check out Betsy’s and Greg’s posts. For the most part we were happy with how we packed and our bags look much the same this year as last. We did make some adjustments and have been very happy with our choices so we thought we’d share Our Best Travel Gear for 2018 with you here. By the way, we are not being sponsored for any of these recommendations, it’s just stuff we like! We haven’t drastically changed how we packed when it comes to our travel clothes. However, when you pack light like we do, after nine months, two things happen. First, when you only have the same small set of travel wear for nine months, they wear out. Also, you just get sick of them! So we have replaced almost all of our travel clothes, mostly with new versions of what we had last year. Here are a few significant additions. After years of thinking about it, Greg finally broke down and bought a Tilley. Made in Canada, these are some of the best-constructed hats out there. He likes the Endurables because of the color, it is crushable (he packs it in the bottom of his suitcase), and it is made from recycled material from other products in the Tilley factory. The brim keeps the sun off his face and neck for those long hikes and it is a good-looking hat! The Tilley Endurables and No Shave November. This Tilley hat is a fantastic choice for travel and hikes. The only real misstep this year was with a pair of shoes. Greg’s “dress shoes” last year were lace up and this year he opted for a loafer. He chose the Cole Haan Howland Penny. 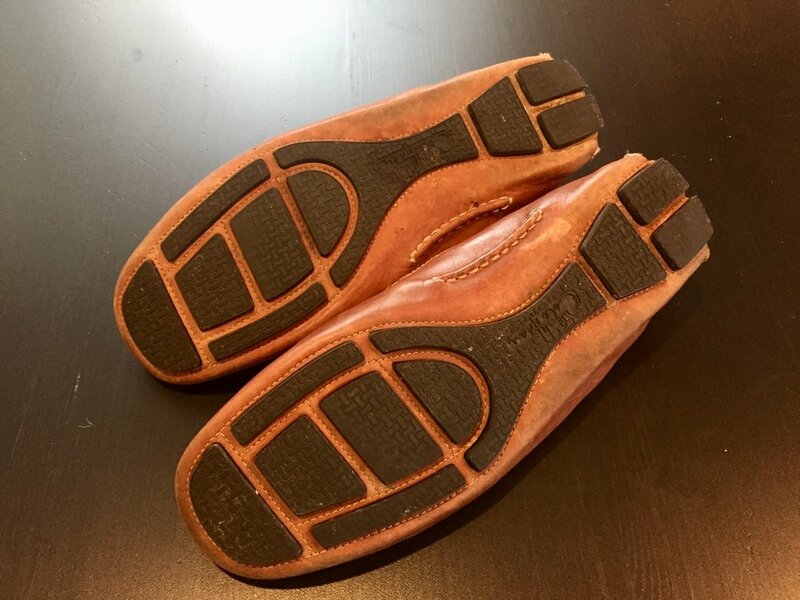 They are lightweight, easily packable, great at the airport security line, and good looking shoes, but there is a problem with the soles. Cole Haan has taken a minimalist approach, which stylistically looks good, but on cobblestone streets in medieval hill towns, they just don’t work very well. Also, because of the soles, they scuff on the toe easily so he needs to carry polish as well. Not the best choice. We love hiking when we travel and we got some new hiking gear this year to enhance our trekking experiences. We started using hiking poles during our trip to Banff in 2012. After seeing so many people using them we decided to give them a try. We love our Lekki Poles we bought on that trip and have used them ever since. Unfortunately they do not breakdown small enough to fit into our small suitcases and airlines often will not allow them as carry-on, so last year we went without. We missed them so much we looked for a solution and added the Trekolgy Trek-Z to our travel gear. They collapse to easily fit in our suitcases or backpacks and we have loved using them several times already this year. Our Osprey Backpacks (Talon 22 & Tempest 30) are great for traveling but just a little too big for walking around a city or as a day pack. 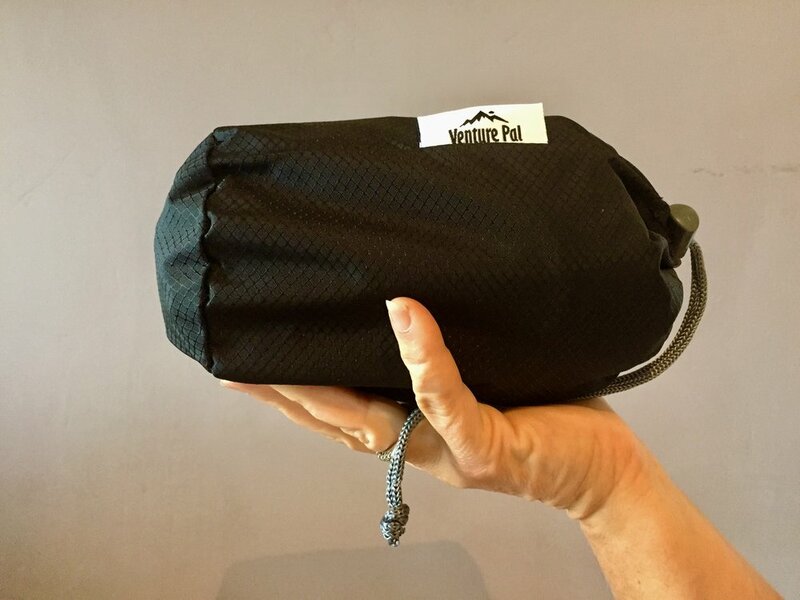 We wanted something a little more substantial than a string backpack and found the perfect solution with the Venture Pal Packable. It features comfortable, adjustable shoulder straps, a large main compartment, two small zippered outer pockets, two side mesh pockets, and it rolls up into its own bag. It is a perfect little bag for a city stroll or a nice long hike in the hills. Plus, our computers fit into it nicely when we go to a pub or coffee shop to do some work. We have used it a lot already and love it! Our phones and computers are invaluable to us to document our travels and keep in touch with our family and friends. Here are couple travel gadgets we got this year to make it easier. Those of you who know us know we are slow to adopt new technology. We have only been using cell phones since 2009! I’ve seen others use portable chargers but always thought they were unnecessary until last year when we often found ourselves out all day and running out of power with nowhere to recharge. This is one of the best gadgets for travel. There are so many out there, but this one works very well for us. We just have to remember to bring it with us during the day! We often found ourselves in situations where we needed to charge multiple things at once and had limited outlets in our room. This is a great cure for that. One outlet and we can charge both phones, the portable charger, portable speaker, and Kindle all at once. We love holding a book in our hands but this is such a no-brainer for travel. It took a while to warm up to it but we really like it now. We chose the 6” Paperwhite E-reader version. One of the best travel accessories ever! Reading about Italy, our favorite travel destination! We often find ourselves in a rent car and this just makes navigating so much easier. This little gadget works by attaching to air-vents rather than the suction-cup method. It has worked well for us so far. It cost $3.00 on Amazon..
And that’s about it. The only other thing we would reiterate is pack light! We recently traveled around Sicily with Chelsea and Sam. Our rental car was relatively small but we all fit our bags into the car easily. Every time we board a plane or train, walk up the steps of a hotel, or trek across town to begin a new leg of our journey, we are thankful we didn’t pack more.